Want to find out how a young graduate launched his first business? We dive into how he thought of, validated, and launched this business idea with a team even though he had no previous entrepreneurial experience before hand. 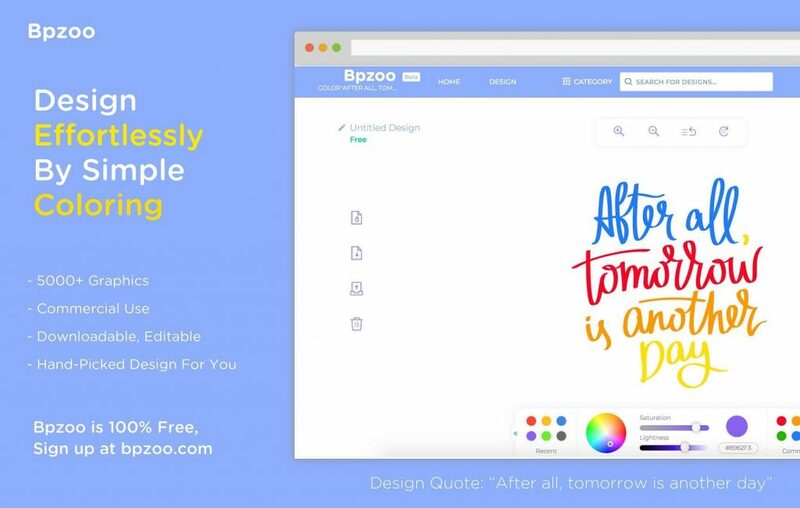 You’ll want to read Bon’s story about how he launched Bpzoo – an online platform for quality customized graphics. The whole story starts with Bon in his final year of college. 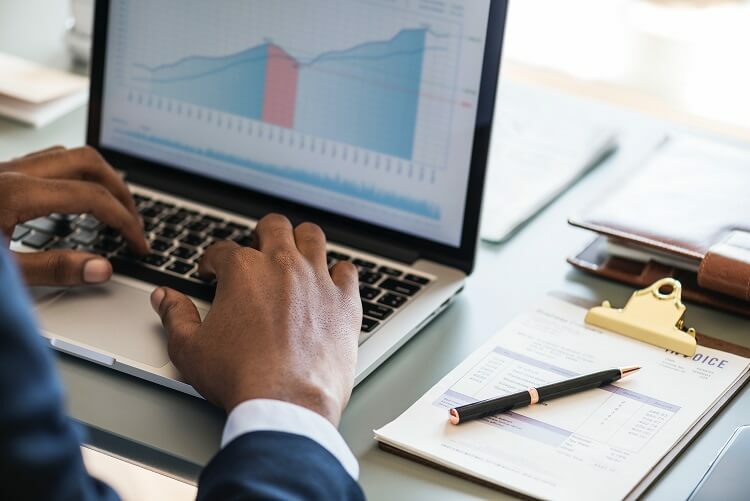 After completing his schooling, he already had his mind set on entering the finance industry, and working for a large American asset management firm. Although he was excited to finish his last year of college and get to work for a prestigious firm, Bon knew something wasn’t right. He had essentially made it in terms of success with a job in finance and graduating soon, but he did not feel fulfilled by this vision and journey he was about to go on. So he took himself back to the drawing board and began to re-evaluate his life. Bon knew he had a huge passion for professional graphic design, which was part of the reason he was in next for choosing the finance career route. During his last year of college, Bon had some inspiration to design his own t-shirts and start a clothing line. After trying out the design software such as Adobe Illustrator and Sketch, he soon realized that the fundamentals of graphic design were quite easy. The hard part, creating amazing and stunning designs took a lot of time, effort, and mastery. He knew he couldn’t master these skills overnight, but the t-shirt business depended on awesome designs, so the idea was killed. However, he knew that there was still something there, because he ran into the issue of needing highly sophisticated graphic design skills. This insight sparked more insight for Bon, and he started to do more research. One day, after finding some inspiration from his research about designs that were really cool, but didn’t have colour, the idea sparked. What if you could choose a pre-made design that a professional graphic designer had made, and be able to choose your own colours for it, so it could suite whatever you needed it to be. He wanted a hassle-free way to design with an easy to use interface, and with the ability to network and meet other lovely designers. That is when the idea of Bpzoo was born. It came at perfect timing too because Bon was not satisfied with his route to asset management, and this idea excited him. It is important as an aspiring entrepreneur to realize that coming up with great business ideas can be from problems of your own. It doesn’t always have to be someone else’s problems you are solving. Many other people may have the save problem as you, like Bon found out. Bon’s case here is quite unique as he didn’t have a list of other business ideas he wanted to start or had been doing research for a long time in search of an idea to launch. He simply began by solving a problem that he was encountering, which is how some of the greatest companies in the world got started. To validate the business idea, Bon took many different routes, using all his resources available to make sure he wouldn’t be wasting his time, money, and efforts launching an idea that didn’t have a market. Bon also investigated the growth of the market (which is one aspect that many entrepreneurs overlook, and it can lead you to enter a declining market) for both graphic design services, as well as the softwares. Some of the software in the market had user bases that were growing at exponential rates, while being dominated by only a few other competitors. This was a loud and clear message that his idea had a profitable market to enter, they would just have to get the messaging right to draw the attention. Secondly, the positioning with the raw black and white design, combined with the ability to colour them to your choice, Bon had a unique positioning with his idea compared to competitors. He could not find any other alternative to what he had in mind, except for a couple, but the design quality did not even come close so he had them beat right off the bat. To test if others liked the raw design, he sent them over to friends and family. The friends and family loved the designs, but they were wondering how they would colour it. What tool are they going to use? What one was the best to use? They liked the design, but became frustrated that they could not colour it in to their liking to use on their websites or online projects. This pain his friends and family felt confirmed that he was on the right path for this idea. The last tactic that they used to validate the initial idea was to distribute an online survey to over 100 US customers to gauge for their willingness to pay for the premium designs and service. The results came back extremely positive, which helped confirm the idea had potential customers that would pay a good price. The combination of validating their idea by seeing what the competition was like and how the growth of that market was developing, combined with their tactics of surveying their potential audiences for willingness to pay was brilliant. Although the initial validation tests confirmed that there is a great business idea there, Bon and his team continually gather feedback and data from this team, customers, and the market to constantly validate the business model. 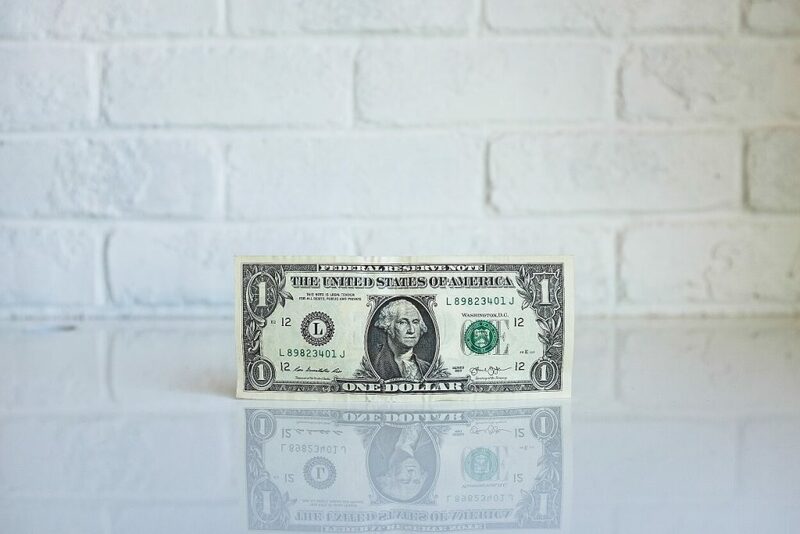 A key contributor to business idea success is being able to validate the business idea before you launch and spend thousands of dollars into something that may not work. The process of idea validation is where many aspiring entrepreneurs fail, so make sure you test EVERY business idea you have. Although there were competitors in the space, Bon felt that his idea had a unique competitive advantage of providing extremely high-quality designs with the ability to choose the colors. Many of the other providers would simply sell you graphics that may not be to you liking with the colour scheme, or it may not be a high-quality graphic. This led him to start his entrepreneurial journey and launch Bpzoo. However, Bon knew he needed a team if he was going to launch this business successfully, so he began his hunt for people that would join his startup. He admits that this was one of the hardest things to do, gather the right people for the startup, but one of his major strengths was that he is a people person. Given this, he was able to gather a team of capable people that would compliment his strengths and weaknesses. For example, he team was able to build the technical platform of the site, because that was not a strength of his. Knowing how to find your strengths and weakness is crucial as an entrepreneur. If Bon was to pursue his idea without the team he has in place, he would most likely of failed long ago. However, he knew that spending time finding the right people would pay off in the long run. If you feel like you want to share your business idea because you can’t execute alone, don’t be afraid. Like any new startup, there are always doubts and pivots along the way that will make you wonder if you are headed down the right path. The first doubt they encountered was if the business would even take off. They were constantly looking for ways to enhance to the user interface, appeal, functionalities, and incorporating it with a lot of various technologies. This challenge made him and the team in place think if they could really get this to be feasible. To overcome this, they constantly asked for feedback from friends, to the point where they liked the platform that was feasible to launch. The second doubt Bpzoo had was regarding profitability. Since they wanted to offer premium design services to the masses, their profit margin per design sold is slim, which can make it hard to reach profitability, as any new startup struggles with. However, the team understands that there is a critical mass (the number of users a website or app needs to hit to reach sustained profitability) they need to reach, and hitting that goal is much more important than profitability in the short term. Scalability was another doubt they had. Could the idea scale to reach the masses, while also making a lot of money? Was the business model and idea setup to scale? These were the kinds of questions that rolled through Bon’s head late at night as he doubted if the idea could scale to a large company. Only very high-quality designers will be accepted, so getting a large amount of designers was a concern. To battle this, they are always making sure they are coding and building their platform in a way that has scalability in mind. For example, they don’t want every designer under the sun submitting work, only the best in the business. The last doubt they have faced is with the User Interface and User Experience of the platform. They have had to change how it looks, works, and feels about four to five times now, which was a large drag on their resources, and made them think if they could continue executing with such a platform. To overcome this, they outsourced their needs to UI and UX experts that handle and optimize their platform. As you can see, the team has had many doubts along the way, but that hasn’t stopped them. If you are thinking, wow that is a lot of doubts they have, shouldn’t they just give up? And the answer is NO, because almost every new entrepreneur has at least one to two of these doubts along the way. You may not always hear about it because they may not want to tell you, but they did have these doubts. Bpzoo has persisted in face of these doubts, and made some important pivots along the way to mitigate the risk those doubts pose. A key lesson for any aspiring entrepreneur or graduate launching their first business. Many people give up right before they hit that successful point. And, this story is a key reminder that you need to persevere and be consistent. The key strength of being a people person that Bon possessed is something that played a key into his success. He was able to get a team together that could execute on the technical things that he could not do. Having a team that he was able to bring on also gave him the ability to use his strengths more with empowering and nurturing the team for maximum results and efficiency. 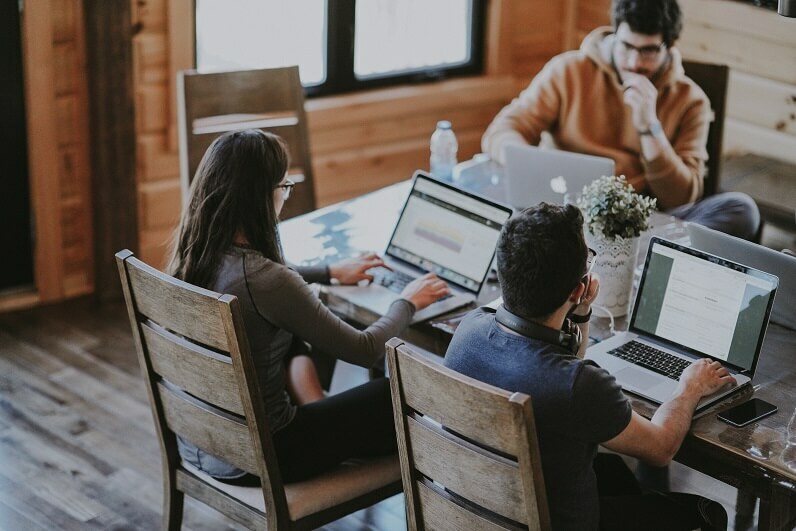 The people skills would be needed when motivating the team, because in the beginning users may come in at a slow pace, which can be hard for a new team to see. His past experiences also played a major role in his business idea, as they always do with entrepreneurs. He had a passion for graphic design and art, which led him down the path of wanting to launch a graphic design company. In the end, he ended up solving the real problem at hand, and that had to do with graphic design. His experiences of coming across the t-shirt business and running into that roadblock was a great experience in hindsight, that allowed Bon to launch a cool business idea. Bon’s ability to gather a team that could execute some of the key areas of his business idea were crucial to the initial success. He believes that his team were the ones that not only develop the platform, but also offered key insights into the business model, approach, and new technologies to consider and use, saving him countless hours and money. He and his team also give each other the mental support they need to thrive. Bon’s advice to new and aspiring entrepreneurs who are struggling with the business idea is to forget if you can execute everything. Play to your strengths, and get the right teammates that can help you with those challenges. It is not easy finding the right people at the right time, but you need to go out and network and let people you know that you are looking for teammates for the idea. One of Bon’s best teammates is from a referral from his network. People are also the most important asset to a startup. Not the product but the people, as the product or service will always evolve, but the people will be around to make sure those important changes happen. The last tip Bon has is to constantly ask for feedback from anyone who will offer it to you. Of course, take it with a grain of salt so to speak, but it is important you are open minded to other people’s thoughts and opinions. If you can, launch your idea on a beta platform to test the waters and get some early adopters that will provide the critical feedback you need. Sometimes that will confirm your goals and route as a business, and other times it will lead to a pivot where you may need to slightly change the business model and the idea to make it fit the market better. Subscribe to receive the latest business idea tips, strategies, and tools every week! As well as three free ebooks. Hey I'm Mike. I empower aspiring entrepreneurs, giving them the necessary tools & strategies to develop successful business ideas. Read more about my mission. Immediately learn everything you need to know about creating a great business idea with this guide. Business Idea Insight gave me step by step guidance to initiate and develop a business idea, strategy, and plan from the beginning. I’m so thankful that I find someone who can see my vision and arrange everything to achieve it. I used to be so frustrated when it came to thinking of business ideas. All my ideas were bad. 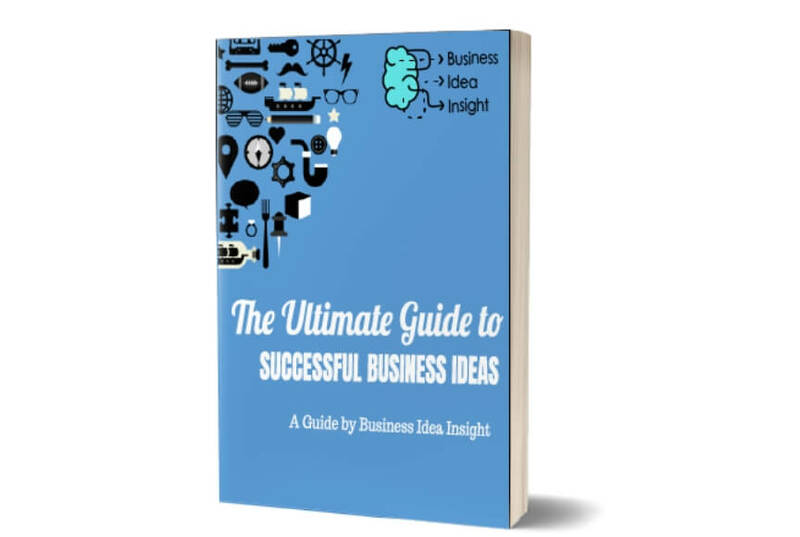 But I subscribed to Business Idea Insight, and now I am thinking of great business ideas every day. Here comes my journey as an entrepreneur! Thanks Mike! Now I’m a subscriber to B.I.I, and Mike’s help has made me keep focused on that idea I have, he has made see others points of view and others things I was missing. The content in his web is really good and easy to read. I strongly recommend Business Idea Insight as a great source to find that missing piece you need to start your business. I promise you will feel there’s someone who wants to support you through this path.Thanks Mike. Thanks a lot. Weeks ago, I wanted to become an entrepreneur so bad but did not know where to start. After subscribing to Business Idea Insight, I learned everything I need to know about business ideas! The weekly newsletter is so helpful too!